Key Difference: The nouns boredom and apathy are the words which reflect disinterest in any activity. Sometimes they are synonyms of each other; but boredom is an emotional state, when a person is not interested because of regular revelation or treatment. Apathy is a lack of interest in the things which others find moving or exciting. People usually get confused with the two terms boredom and apathy. Is there any actual difference between being apathetic and being bored? Let’s understand both the terms in the following context. Boredom is a state when a person is not at all in a mood of doing any activity. The idiom ‘boredom’ was first expressed in 1852, in the novel 'Bleak House' by Charles Dickens. The term was mainly derived from the French word ‘ennui'. Boredom is an emotional state when a person has control on his thinking, but his mind does not allow his body to respond. This state of boredom is like an emotional oxymoron. The type of endless boredom happens more to men and people with brain injuries and certain psychotic disorders. For drug addicts, fighting boredom can predict their success in kicking their habit as well. 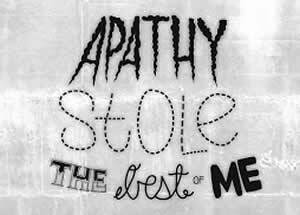 Apathy is a state when a person has a feeling of not having much emotion or interest. The idiom is derived from the Greek word apathes, meaning ‘without feeling’, ‘absence of passion’, or ‘insensibility’. Apathy is known as a normal sign of stress. On a serious note, it is also a mental problem such as schizophrenia or dementia. Apathy is such a phase that people face in their life at anytime, any moment. Apathy is a short-term dilemma; but if it gets converted into long-term, it will be known as a mental and psychological issue where a psychiatrist needs to be consulted. Apathy mainly occurs when there is a lack of communication. A person feels offended and alone in the society, when he actually needs someone for guidance and support. Boredom is an emotional state; when a person is not interested because of regular revelation or treatment. Apathy is a lack of interest in the things which others find moving or exciting. A major cause of boredom is lack of variety. A major cause of apathy is loss of hope. Boredom may extend to depression. Apathy may extend to mental problems such as schizophrenia or dementia.